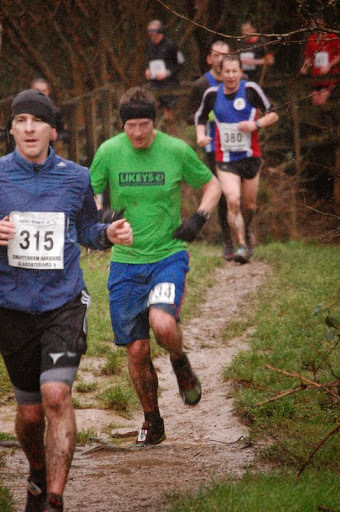 This Sunday I ran the Slaughterford 9 cross country race. I will keep this brief- like the race itself. At just nine miles it was well outside of my comfort zone. I’m not so sure about a race where there isn’t time for snacks and walking up a hill is frowned upon (let alone time to stop and water the bushes). After I registered, I headed back to my car for half an hour as it was raining sideways and very cold. I had decided to run in just shorts and t-shirt as it was a short race, but this meant waiting to start was not pleasant. Ten minutes before the start I bit the bullet, left the car and headed to the start. I chatted with a few friends, well I say me, my teeth did the chattering for me. I needed to start running. I wasn’t anticipating a great result but as it turned out I ended up in the top 1/3 which I wasn’t expecting for something where there were a lot of fast runners. I felt like one of only a few who wasn’t wearing a club vest- at least in the group of runners I ended up toing and froing with all the way around. The start plunges downhill for two miles before entering a muddy lagoon and then back up the other side. All the way around the marshalls were amazing, standing in torrid conditions wishing us well and many people stood outside their homes shivering and clapping us on. It was all very British. I kept my pace decent, although not fast, and all too soon I was at the final hill, the sting in the course’s tail. My time of exactly 1 hour and 20 minutes averaged 8.8 minutes per mile, which considering the terrain and the atrocious weather and underfoot conditions I am pretty happy with- 20 minutes behind the winner. I finished with a little extra in the tank and whilst ready to finish, I wasn’t completely shattered. I know if I do more of these races I can push harder. I’d love to see them add the option of running a second or third loop, though, for those of us who had just warmed up as it finished. The Centurion Ultra team (who represent the company I do most of my races with) were also racing a 10 mile race this weekend in Canterbury and James Adams who is one of the UK’s best ultra runners had raced the Box Hill Fell race of 9 miles the weekend before. So the short ones are not just for the 10k runners, but a great way to build speed and confidence in the winter months. 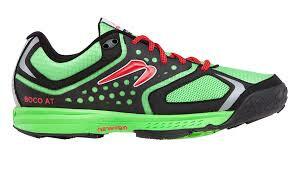 It was also only the second time I had worn my new Newton BoCo AT shoes. Newton is not hugely well known within the UK, but are growing fast in the US. The BoCo stands for their headquarters of Boulder, Colorado and the AT stands for All Terrain (I would actually change this to MT for ‘Most Terrain’). I got these shoes because I am still searching for a shoe that matches the Pearl Izumi NI, but that is suitable for winter conditions in the UK. These looked great, had a wide toe box, great tread and lugs, were lightweight and had an ‘all-weather’ upper, which made them an ideal winter shoe. I have to say, they are incredibly comfortable. They lace up very tightly and stay put. They are well padded but very light for a shoe this comfortable. However, and this isn’t the shoes fault, they weren’t quite right for a race like Slaughterford where I should have worn my Salomon Fellcross. They gripped amazingly on wet rocks but in mud on steep climbs and descents I did lose grip and was forced to walk some sections. The problem is, they are labelled as all-weather and all terrain but what that really means is for rain or snow on relatively dry trails. This was a UK ‘fell’ style race where you are in ankle deep mud and puddles from the off. 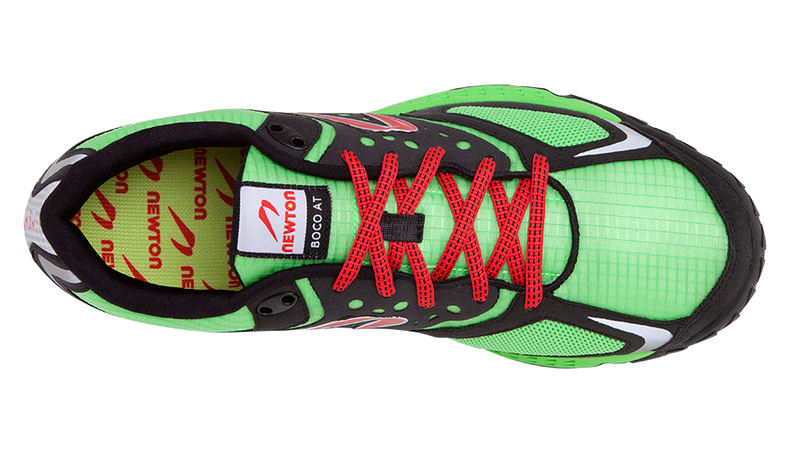 So, they might be good for summer running or the all weather upper may make them not breatheable enough, but where they will come into their own is on a wet day where the ground in the most part is not totally saturated. I was thinking about this after the race and I cannot imagine a race where they will be more appropriate than the South Downs Way 50 miler, which is my next proper race in early April. The South Downs are exposed but with the chalk underfoot are often unsaturated even after deluges like we have had this winter. Their grip on wet chalk will be excellent and in the places where the ground is saturated they will quickly drain and dry out. All in all, this is a cracking spring and autumn shoe for the UK. I will have to reserve judgement on the summer months where I cant see it beating the N1, but will definitely be using it a lot over the next few months and for most of my off-road training runs. 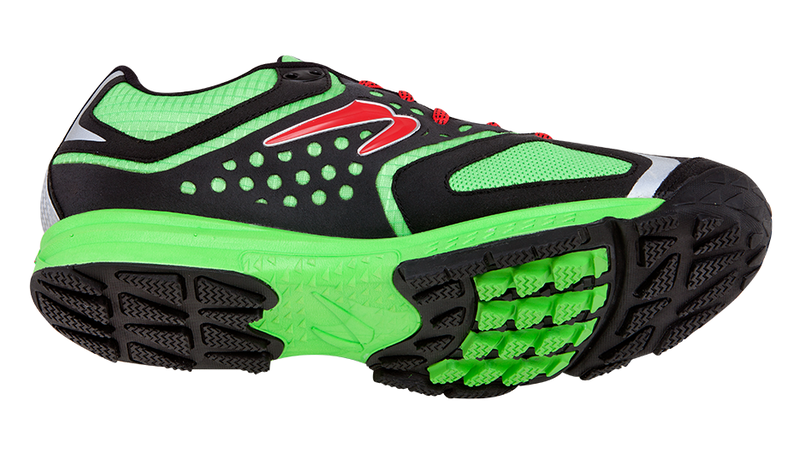 It also transitions very well from road to trail and I think if it had a highly breathable upper it would be the best shoe I have ever owned. For Slaughterford, I also used a new pair of socks, which were the X-Socks Sky Run. I was given these after the Brecon Beacons Ultra to try and used them on a few runs, but this was the first time they had come out in a race. It’s hard to say something about socks on such a wet day where my feet were saturated from the off, but these always felt breathable and I didn’t suffer one blister. They gripped the inside of the shoe well and didn’t bunch up in places or ride up despite the friction on such varied terrain. Unlike the BoCo AT, these socks are more for summer. 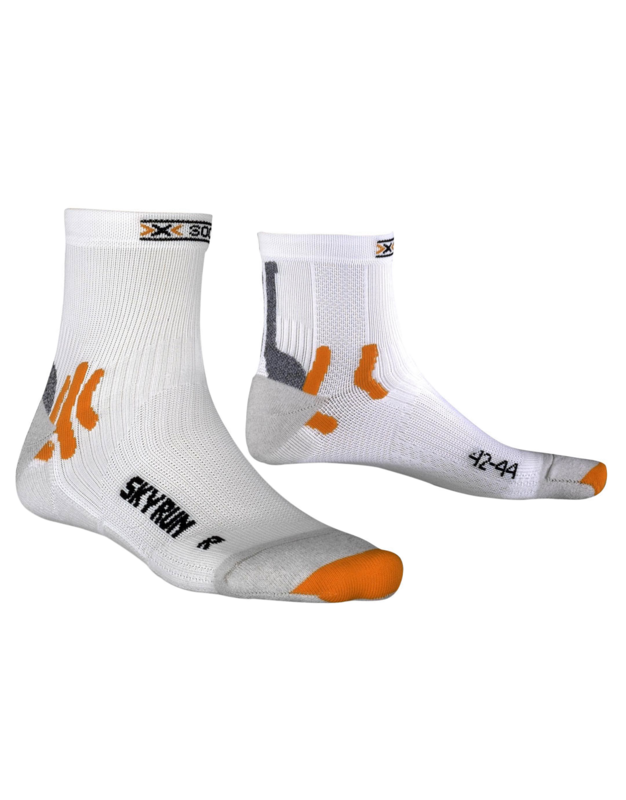 They are thinner than the Drymax I usually wear which make them ideal for the 50 or 100 mile races I have lined up in warmer months and being white mean they will get less hot than the dark socks I tend to run in. 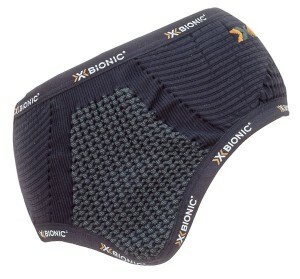 The only other item of kit I wanted to mention also bears the X brand and is the X Bionic Bondear headband. This is perfect for days when its not cold enough for a hat, so the top of your head can breath, but you also want something to keep your ears warm and the sweat or rain out of your eyes. I love this hat and think it will also be perfect for the long nights of a 100 mile race when temperatures drop and also provides a very comfortable resting place for your headtorch to save it rubbing against your forehead. All in all, it wasn’t my distance this race, but I enjoyed it and managed to test some kit in horrific conditions that will definitely serve me well as winter turns to spring. Roll on April…but first, in ten days time we have our Cotswold Way 50k and I can’t wait. I did the slaughterford also, first time I’ve done it but from what I heard it was the worst conditions they have ever had so I’m pretty confident that on a better day I would of gone faster and I’m sure you would of to. You got any more local races planned?